With Palm Sunday rapidly approaching, let me share with you all the services and events at Pleasant Valley United Methodist Church. Palm Sunday worship will be held at 9:30 AM, and will be marked with the Sunday School children passing out palms to the congregation. Sunday School will be held as usual during the worship service after the Children’s Sermon. Coffee Hour will be enjoyed in Fellowship Hall. As Holy Week progresses, a Maundy Thursday service will be held at 7:00 PM. On Good Friday the Sanctuary will be open from noon until 3:30 PM and a prayer vigil will ensure that the Sanctuary is not empty during those hours when Jesus suffered on the cross. In addition, at 7:00 PM there will be a Good Friday worship service. On Easter morning at 6:30 AM, we will meet in the Memorial Garden at Pleasant Valley United Methodist Church to welcome the risen Christ and to send our songs of praise to our Heavenly Father. Following this short Sunrise service, a community breakfast will be hosted by the North Congregational Church in Fellowship Hall at PVUMC, a simple walk across the parking lot. At 9:30 AM, the Easter worship service will take place; there will be no Sunday School for the children in order to allow the teachers and staff to attend the full worship hour. Coffee Hour will follow in Fellowship Hall. It will be a time for family and friends, as well as guests and visitors, to share a snack and fellowship. It will be a busy place next week at PVUMC and all services are open to the public. 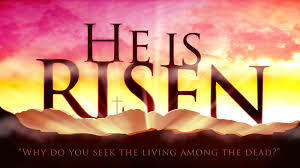 We welcome guests and visitors to join with us as we share in the joy of the risen Lord. Palm Sunday, March 24th will offer a worship service at 9:30 AM in which the Sunday School children will bring the palms into the Sanctuary and help to distribute them to the congregation. Maundy Thursday, March 28th will offer a special worship service and reading of the passion at 7:00 PM. Communion will also be served. Good Friday, March 29th will offer an evening service commemorating the death of Jesus at 7:00 PM. Easter Sunday Sunrise Service will take place, weather permitting, at 6:30 AM on Beach Rock in Barkhamsted. This service has a long-standing tradition of meeting at the top of the rock to greet the Son. The service is a combined effort of the North Congregational Church in New Hartford, the First Congregational Church of Barkhamsted (aka Barkhamsted Center Church), and Pleasant Valley United Methodist Church. Following the early morning service, a community breakfast will be hosted at the Pleasant Valley United Methodist Church. Everyone is welcome to join in the fellowship. Easter Sunday Worship Service will be held at 9:30 AM in the Sanctuary and will celebrate the resurrection of our Lord and Savior, Jesus Christ. A light coffee hour will be offered following the service. Our church is open to all and we welcome visitors and new friends to join us in the worship and fellowship that we offer. Palm Sunday on April 17th, worship service at 9:30 AM. Maundy Thursday service of Holy Communion on April 21st at 7:00 PM. Good Friday Vigil on April 22nd, from noon to 3:00 PM, marking the time that Christ hung on the cross. Easter Sunrise Service at 6:30 AM on Sunday, April 24th on Beach Rock. Our church will host a community breakfast following the sunrise service, beginning about 7:15 AM or so. Easter Worship Service at 9:30 AM. Come join us as we worship our risen Lord and Savior.